Anyone who loves a good crime caper will want to catch up with these lovely ladies. I never had the chance to sit down and watch the classic Ocean’s film starring the Rat Pack back in the day, but I did enjoy the remakes with George Clooney leading the crime team. I would’ve never thought another entry would come about all these years later in the nicely done Ocean’s 8. Featuring some lovely ladies and an amazing 4K HDR presentation, anyone looking for a fun crime flick will want to stick with these women. I had a good time watching both the team and plan come together with all of the fun and drama in between to keep things interesting. It helps that the cast is pretty good as well, especially with Sandra Bullock heading things with Anne Hathaway on board along with the other ladies. Being a 4K UHD Blu-ray with HDR, everything looks and sounds perfect here, as every detail from the visuals and awesome Dolby HD audio pull you into the heist and keep you there until the end credits. There’s also some pretty neat special features to take a look at once the caper has ended. The extras kick off with some deleted scenes that add a little more to the film but not by much. “A Heist in Heels” has the cast discussing bringing women into the Ocean’s film universe and just making movies with women starring in general, “Ocean’s Team 3.0” goes into this a little more as it focuses on the eight characters and how well they get along to make the heist happen. Lastly there’s “Reimagining the Met Gala” that features some of the famous people behind the Met Gala such as Daniel H. Weiss, President and CEO of the Met and more as they talk about how well the film version matches the real life Met Gala and the huge collection it contains. 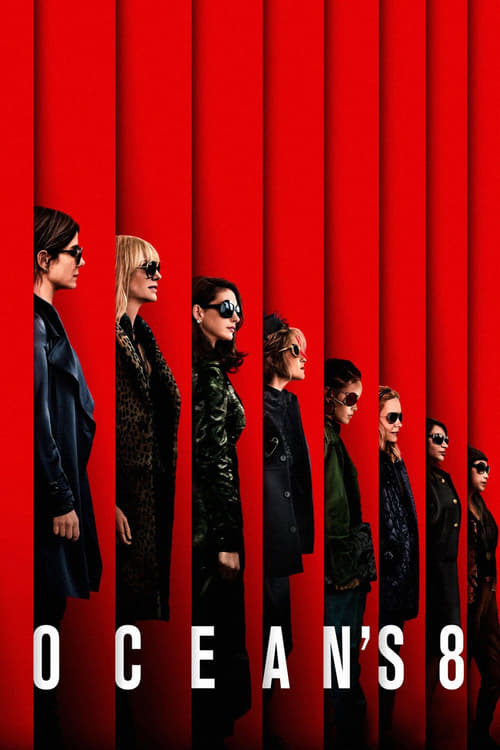 Ocean’s 8 is a smart, funny, and fun film to watch if you’re looking for a cool crime caper with some laughs and drama thrown in. With a great cast, a spot on 4K transfer, and some nice special features, you’ll want to set aside some time to make a plan and pick this one up for your collection.